The idea to start our own studio began in Kyoto, and it is from Kyoto that we continually draw our inspiration whether directly or in more unexpected ways. From the start it has been our aim to make games accessible for all ages, bringing vibrant worlds and curious characters to life with unique game mechanics. Currently we make games for PlayStation and Nintendo game hardware. Our latest game will be released on PSVR a little later in 2017. On leaving PixelJunk and Kyoto, Rhod began work immediately on the '2D Adventures of Rotating Octopus Character', which we self-published in 2011 for PSP. The inspiration for the game came many years before, during a visit to the gift shop of Osaka Aquarium 'Kaiyukan'. The muse in this case, a toy octopus, still sits proudly on the studio shelf. Building on the success of our nameless cephalopod, we turned the studio's attention more directly to our one-time home, bringing the rich mythology of Japan alive through a cloud-riding shooting game. 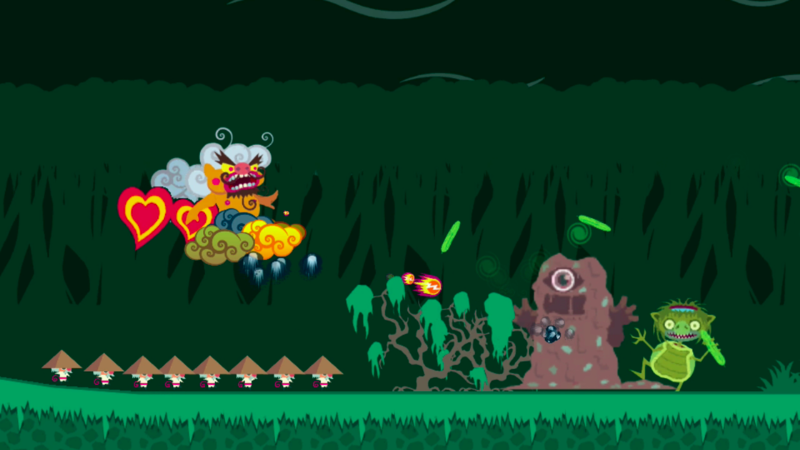 'Floating Cloud God Saves the Pilgrims' was released for Sony's PSP in 2012 and helped establish Dakko Dakko as a leading independent PlayStation developer. Its vivid landscapes, memorable monsters and hardy pilgrims are a world that we are currently diving back into four years later. Once again there were a few very specific memories that helped give birth to the game: the large Kongorikishi (gate guardians) of Ninna-ji's Nio-mon, Kennin-ji's painting of the wind and thunder gods by Tawaraya Sotatsu, and the Gakuten (heavenly musicians) on the walls of Byodo-in's Phoenix Hall. For the studio’s next project we switched focus to Nintendo Wii U, merging our love of handheld game systems with the power of a home console. 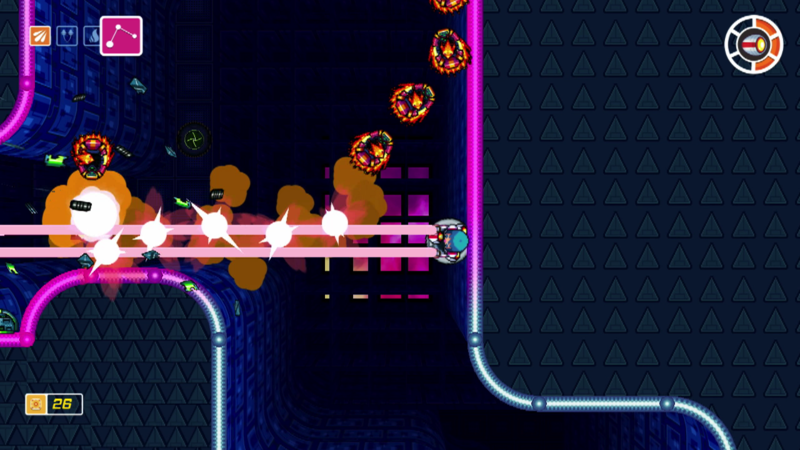 In 2014 we took players to outer space in ’Scram Kitty and his Buddy on Rails’. Rhod's love of long-titled games had once again won out, although the later Playstation release ’Scram Kitty DX’ saw that particular trend meet its end. This dual-wielding, wall-riding blasting game won rave reviews and a dedicated fan base. Inspiration this time came from closer to home; the studio cats Hogarth and Percy, and the legion of mice that we always suspected were living in the deep floor space beneath the office. The word ’Scram’, meaning a nasty scratch, is a nod to our base in Wales. As 2015 arrived the studio collaborated with our friends at Simogo and Nintendo to bring the horror classic 'Year Walk' to Wii U. The game's puzzles were redesigned with new and inventive ways to make full use of the Wii U's Gamepad. By combining the use of motion sensors, the touch screen and button inputs, the Wii U version of Year Walk brings the game's distinctive wintry folklore to life in uniquely compelling ways. 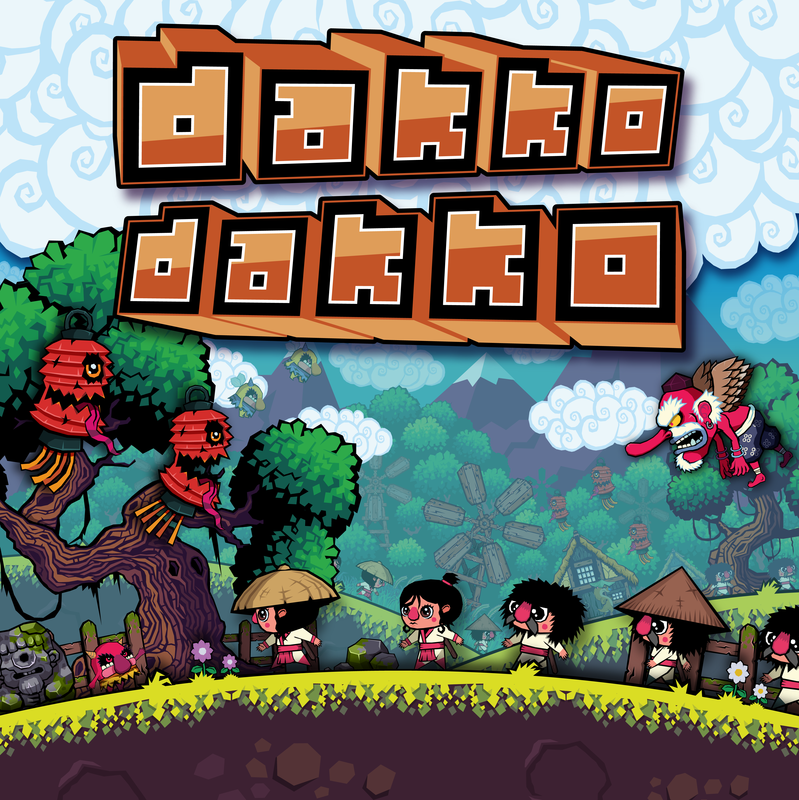 There are far more images available for Dakko Dakko, but these are the ones we felt would be most useful to you. If you have specific requests, please do contact us! "“There are a handful of delightful moments where the game riffs on the classics, but the best stages go much deeper, combining in-game furniture and collection spawns with a pulsing elegance, creating a fusion that can actually feel more like a rhythm action game than a puzzle-platformer.”(8/10)"
"When I finished Floating Cloud God Saves the Pilgrims, thanks to liberal use of the restart button, not a man had been left behind. It's a question of self-respect. Not many games can make you feel like that. 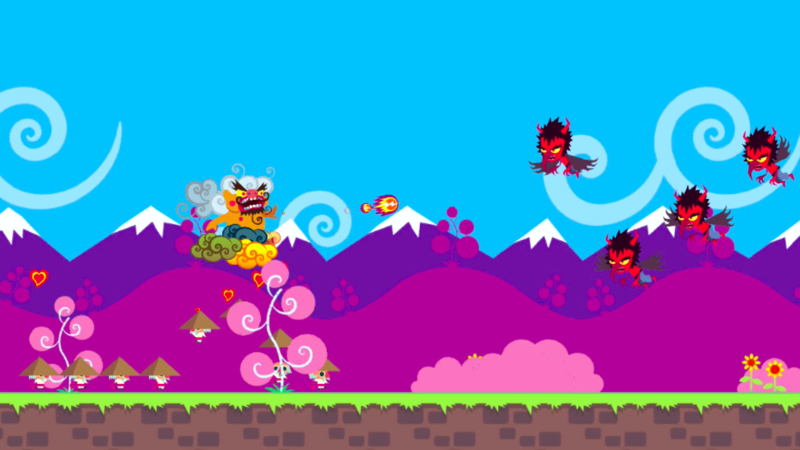 (9/10)"
"The way Scram Kitty challenges you to master every aspect of the control system and marry it with your knowledge of the weapons and your enemies is not just reminiscent of Treasure but other top tier action games like Bayonetta and Dark Souls."